Your business relies on hot water. Maybe it’s integral to keeping your clients happy; Let’s say you operate a hotel. Or perhaps it’s crucial for production; You rely on hot water to clean bottles for your production line. Regardless of the use, having hot water on tap is crucial. Here at InSink Plumbing, we understand the demand for hot water. It’s a necessity, and your business can come to a screeching halt without it. That’s why we offer premium commercial water heater repair, maintenance, and installation services. 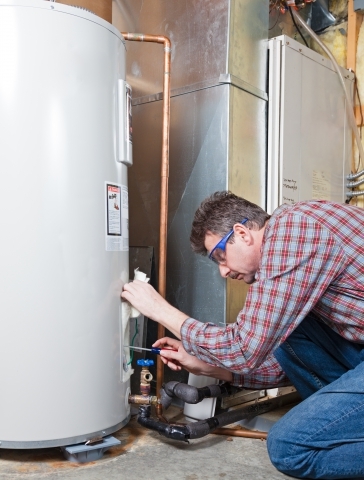 A failed water heater can be a major cost for your business. If your water heater isn’t operating as it should, you can be throwing dollars down the drain due to inefficiencies. If you’ve noticed compromised performance from your water heater, it’s time to call the professional plumbers here at InSink. We can inspect and assess the state of your water heater; and we can provide maintenance and repair to improve your heater’s performance. If you need to completely replace or upgrade your water heater – or if you’d like to install a new water heater for the first time – you can count on InSink plumbing. Installing a water heater can be complex; but we have the knowledge, experience, and proper tools to make an installation a smooth and speedy process. Simply put, we provide excellent service when it comes to your water heater. Let us help you get your business up and operating! Count on us for all of our commercial plumbing services. Call today!